So this is a smaller ride, and started as a smaller Pre-Ride planning page I created for the sake of organizing information. This page has since grown much larger than expected, so I'll keep it around for informational purposes. I ended up riding around the Bourbon Trail two weekends in a row. Both reports are in my short story blog, the first weekend was with David and George, while the second weekend was with my dad, brother, and girlfriend. Disclaimer: Jeesh, lots of people think it's a bad idea to motorcycle the bourbon trail; so, here's some silly disclaimer that I don't think is necessary: We don't ride drunk. We won't ride drunk. We don't ride 'buzzed'. We won't ride 'buzzed'. We're not going to drink while out touring on the bikes. Will we sample if they offer (some do, some don't)? Probably! You know what a bourbon sample is? A taste. We purposely rented our very own apartment within walking distance to all the greatest bars of downtown Louisville, specifically so that we can have a little fun in the evenings, without having to get near a motorcycle. Interestingly, will will be in Louisville on World Whisky Day! While not a notable holiday around Kentucky (really?! ), it is celebrated in 43 countries around the world! We will tip a glass for World Whisky Day, will you? From Columbus we will head southwest on 62, take the Augusta Ferry across the Ohio River (because bridges are lame), and take small roads southwest to Louisville. We will stop in Louisville to unload our gear mid afternoon, and most likely head out to a distillery or two, before coming back downtown for the evening. To head home, we'll most likely leave the (east-most) end of the Bourbon Trail, near Lexington. A straight shot would be easy, up 62 again. But, depending on the time of day we depart (and how we feel) a longer ride could easily be taken. Perhaps head more east, and stop at Hillbilly Hotdogs in Lesage for dinner, before heading all the way home (that'd be a 300 mile ride). There are two pre-made bike (back-road) routes, featuring 6 distilleries. Since we'll be staying in Louisville and will have 2 half days and 1 full day down there, our route will be a bit customized. We won't be visiting all of these distilleries; I'd expect we'll hit a couple a day, and simply ride and explore the rest of the day. Sun (April-Oct Only): 12 p.m. - 3 p.m.
A GPS File That'll Get You Drunk! I wasted several hours of my life making a GPS file for the area. I've included the 8 distilleries listed above, as well as 13 breweries and 12 wineries. 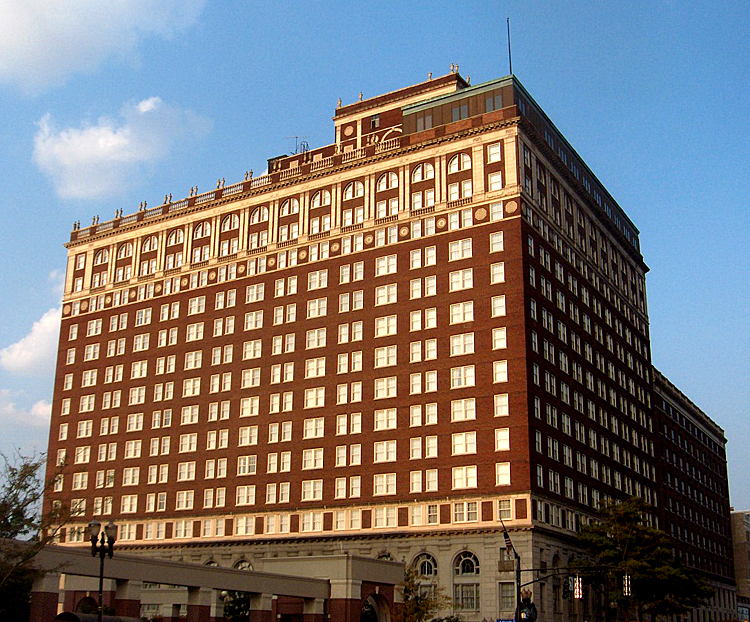 Also included, the Louisville and Lexington visitors centers, the Brown Hotel, the Mega Cavern, and The Waverly Hills Sanatorium. This should easily upload to most any GPS device. There are several campgrounds in the area, including the Louisville South KOA and the Holts Campground near the west end. Taylorsville Lake State Park, Willisburg Lake Campground, and Camp on the Kentucky are all towards the east end. But that would require us to pack camping gear, and we would be out of town in the evenings. Also, we would be more susceptible to weather. Getting a couple hotel rooms was also an option we looked into. The Louisville Marriot East is supposedly bourbon themed, although I don't know exactly what that means. It's not in downtown, which is unfortunate because that's where the action is. The Brown Hotel is the featured and famous hotel for the area, but it is too rich for our blood. Louisville seems to be the hot spot of the area (see the Urban Bourbon Trail below), so we decided to stay both nights in the heart of downtown Louisville where we're walking distance to bourbon bars and restaurants. We will ride to all the distilleries from there, saving the furthest east for the last day, before turning north to head home. I was recently introduced to airbnb.com, a sort of 'hub' for people looking to rent out rooms, apartments, or houses. We scored a 2 bedroom apartment for two nights for less than the cost of one decent hotel room; and we're just blocks from the hottest downtown Louisville areas. Click for details of our apartment. Louisville has an 'Urban Bourbon Trail' that I feel absolutely justifies staying in the city, Free maps as well as smart phone apps will guide you to all the best bourbon bars and restaurants, as well as historic bourbon sites. Gather six stamps in your free "Urban Bourbon Passport", and you get a free Bourbon Trailblazer T-shirt and certificate. What an awesome way to attract the attention of tourists. All the info is here. Just a little fun fact, there are over 25 bars listed with between 50 and 170 different types of Bourbons.